N174 Gypsy Queen Tug Wilson. Issued only with two formats, GQs are scarcer than OJs. 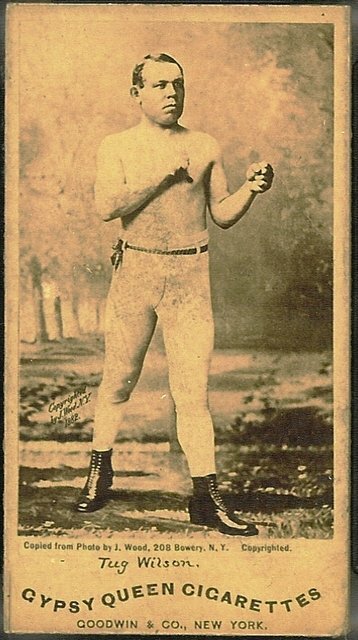 The thick-skulled Wilson came to the US from England, stood in with Sullivan for long enough to win a $1,000 challenge purse for lasting, and returned to England to open a grocery business with the money.